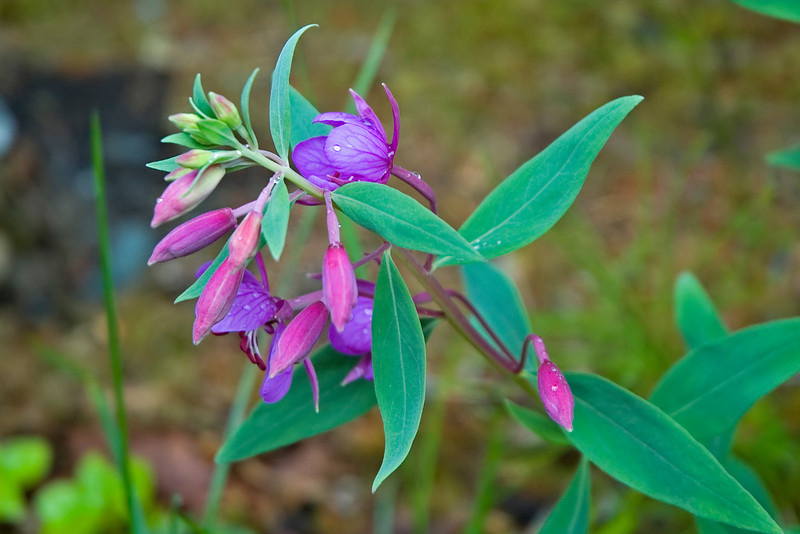 Epilobium angustifolium, commonly known as Fireweed, is the flowering plant in the family Onagraceae. It is native to Temperate Northern Hemisphere. The First Nations of North American people used it as a cooked vegetable or fresh, substitute for tobacco and applied as a poultice to treat infections. 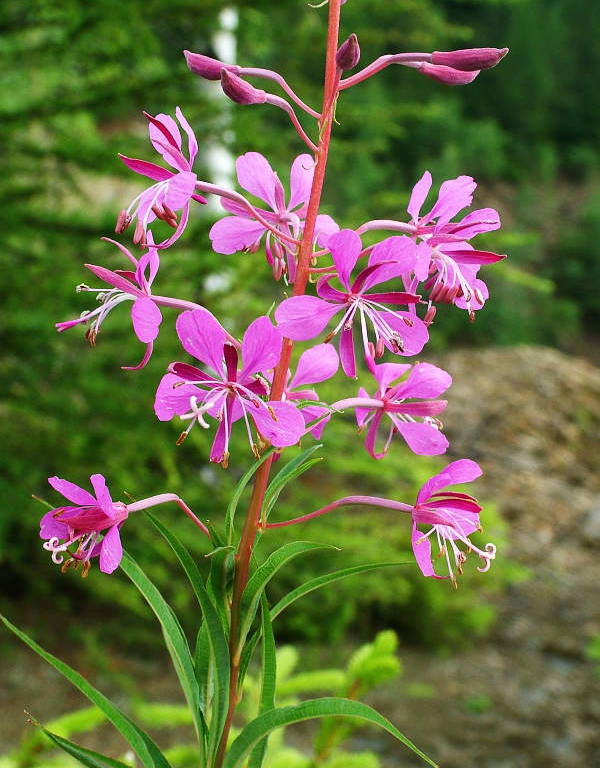 As Fireweed possesses anti-inflammatory properties it is used to treat the skin problems such as mouthwash, diaper rash and sore gums. 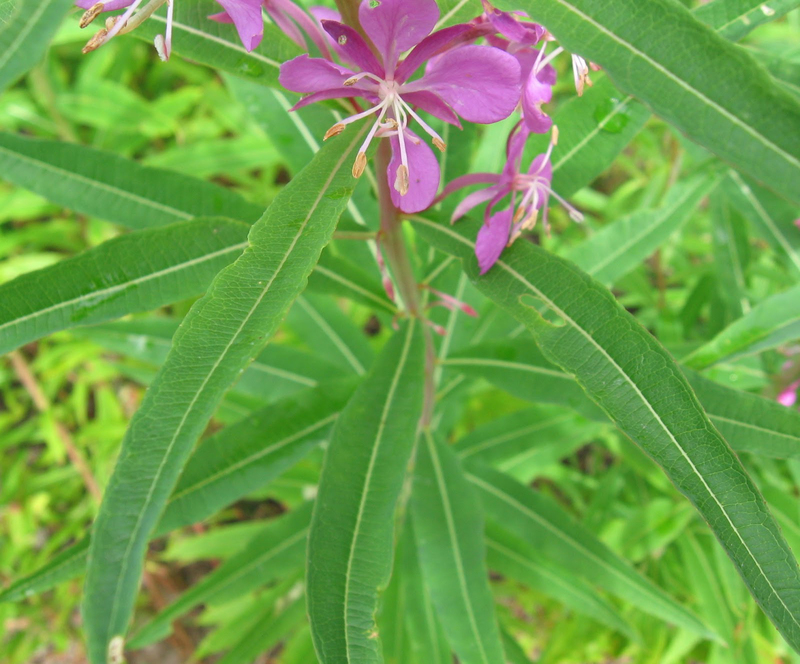 Fireweed has also been referred to as Fireweed, Great Willowherb, Rosebay Willowherb, Spiked Willowherb, Narrow-leaved fireweed, Perennial fireweed, Great willow-herb, Flowering willow, Rosebay willow-herb, Blood Vine, Blooming Sally, Fireweed, Flowering Willow, Willow Herb and Purple Rocket. 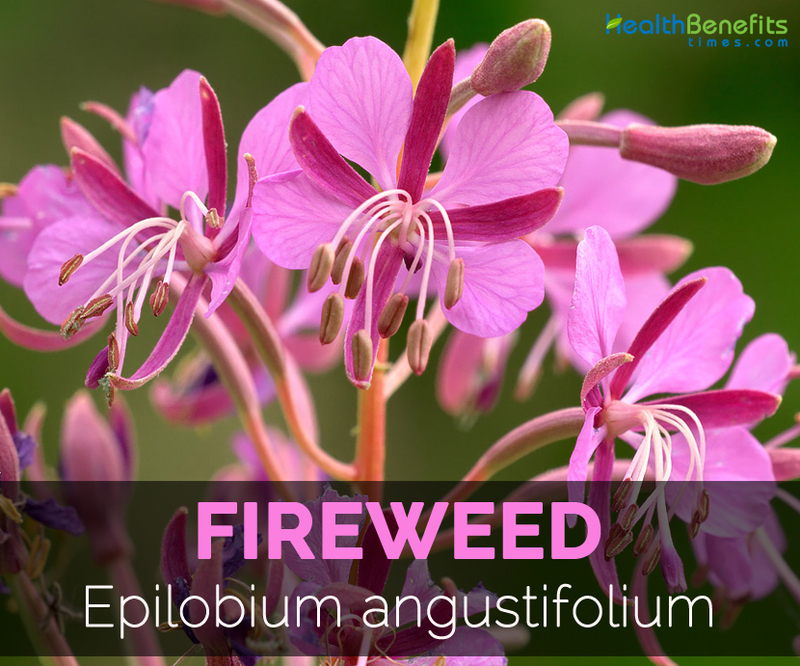 Fireweed is a perennial herbaceous plant, 2-9 ft. (0.6-2.7 m) tall which is found growing in semi-shaded forested areas and in sunny meadows and tends to grow in all types of soil but normally it prefers well-drained soils. It has wide spreading horizontal roots extend down vertically to 17.7 inches (45 cm) from the plant, with most growing between 0 and 5.9 inches (0-15 cm) deep whereas purplish-red stems that are simple, erect, smooth, 0.5–2.5 m (1½–8 feet) high. Normally leaves are alternate, arching to ascending, lanceolate, pointed, hairless, becoming smaller at top of stem, 3-8 in (7.5-20 cm) long, to 0.75 in (2 cm) wide; little or no stalk and are dark green above and silvery below. Flowers are rose to purple, rarely white, with 4 petals 8-20 mm long. Numerous flowers in terminal greatly elongate clusters, lower flowers blooming first. Sepals are 8-12 mm long with style 1-2 cm long, longer than the 8 stamens, softly long- hairy on the lower portion, stigma 4-cleft. Flowering normally starts from June to September. Fruits are long, very narrow pod, gray-hairy, 2-3 in (5-7.5 cm) long, and held upright; peeling open length-wise to release thousands of small hairy-tufted seeds. Numerous minute brown seeds are present with a tuft of silky, white hairs at the tip. 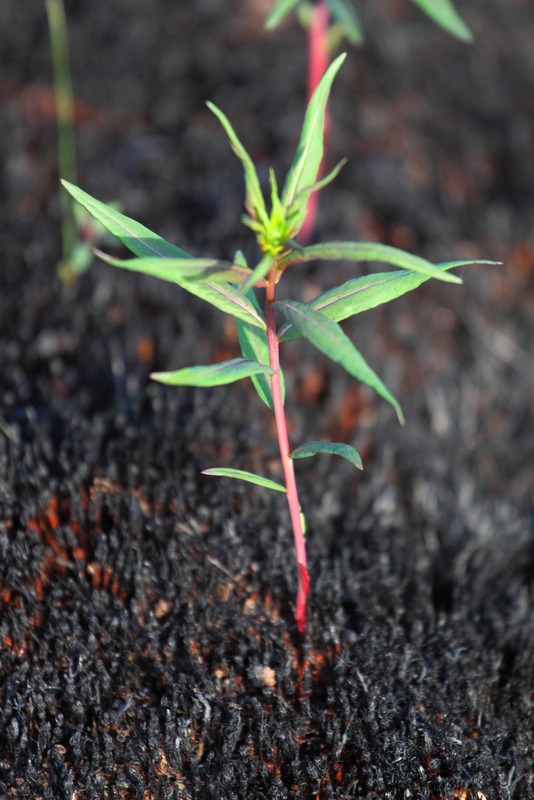 Fireweed is a perennial herbaceous plant in the Asteraceae that is native to Australia and New Zealand and has been naturalized in northern USA (in the states of Washington, Oregon and California). It is considered a problem invader in the Channel Islands, California, and USA. It is able to rapidly colonize and dominate disturbed areas such as those cleared by logging activity or fire. Along with other nonnatives, it is possibly threatening native species in California. 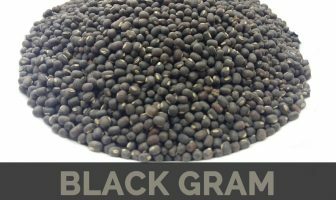 Nowadays it is found growing throughout the world because of its high nutrient content and wonderful use in the food item. The serving size of one cup of 23 grams provides 24 calories. It provides nutrients, minerals and vitamins in various amounts. The same amount offers 1.542 mg of Manganese, 0.145 mg of Vitamin B6, 99 mg of Calcium, 36 mg of Magnesium, 0.074 mg of Copper, 0.55 mg of Iron, 1.075 mg of Vitamin B3, 26 µg of Folate and others. Vitamin B6 helps to regulate the homocysteine levels in the blood which could be obtained from the meat or protein sources. The high presence of homocysteine in the blood leads to inflammation, blood vessel disease and heart disease that may lead to heart attack. The homocysteine level builds up in the absence of Vitamin B6 which could damage the lining of blood vessels. It leads in harmful buildup of plaque that results to stroke or heart attack. The study shows that the intake of Vitamin B6 with folate helps to reduce homocysteine levels and also heals the damage. Vitamin B6 helps to manage the cholesterol and blood pressure level which are the main causes for heart disease. Vitamin B6 assists in the development and functioning of brain. The deficiency of Vitamin B6 affects the memory, cognitive impairment, dementia and Alzheimer’s disease. Vitamin B6 is required for making the hormones such as norepinephrine and serotonin which controls the concentration, energy and mood. The research shows that Vitamin B6 may be useful for the children with ADHD and improve their learning as well as behavior. The research shows that Vitamin B6 has an impact on the production of GABA neurotransmitters and serotonin in the brain. These hormones help to control the mood and prevent pain, depression, anxiety and fatigue. It helps to prevent the mood disorders. Vitamin B6 helps to treat the brain diseases and uplifts the mood, avoid lack of energy, concentration and experience less pain. The deficiency of nutrient and poor diet are the main causes of eye diseases. The study shows that Vitamin B6 with other vitamins such as folate helps to prevent the vision loss and eye disorders. Vitamin B6 helps to slow down the growth of macular degeneration which is the age related disease. Vitamin B6 is essential for the creation of hemoglobin in the blood which is passed by red blood cells in the body in order to transport the oxygen to the cells and utilize iron. Anemia is caused due to the low presence of red blood cells and results the symptoms such as aches, fatigue and pains. The study shows that the consumption of Vitamin B6 reduces the symptoms of anemia and also prevents it from occurring. A fiber obtained from the outer stems can be used to make cordage. 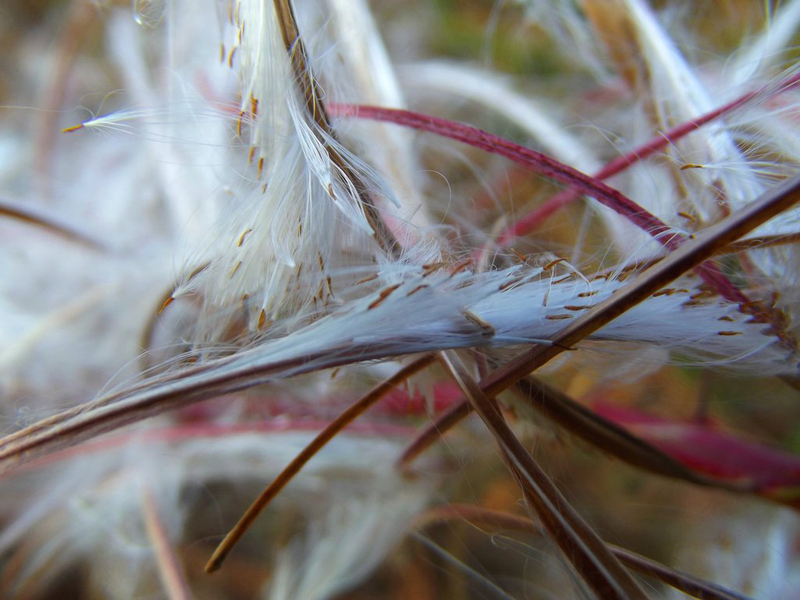 The ‘cottony’ seed hairs has been used as a stuffing material or as tinder. Chamaenerion angustifolium f. pubescens (Hausskn.) Kitag. 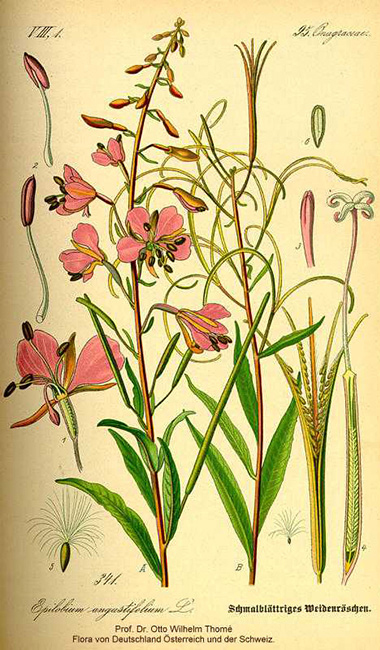 Chamerion angustifolium f. pleniflorum (Nakai) Yonek. Epilobium elatum Munro ex Hausskn. Calories 24 Kcal. Calories from Fat 5.67 Kcal.